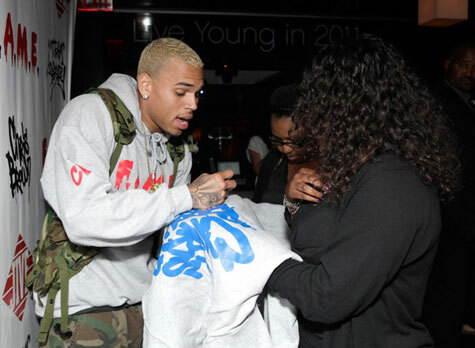 Chris Brown expressed gratitude to his loyal fans by inviting them to an intimate listening session at Playhouse Hollywood in L.A. on Monday (March 14). 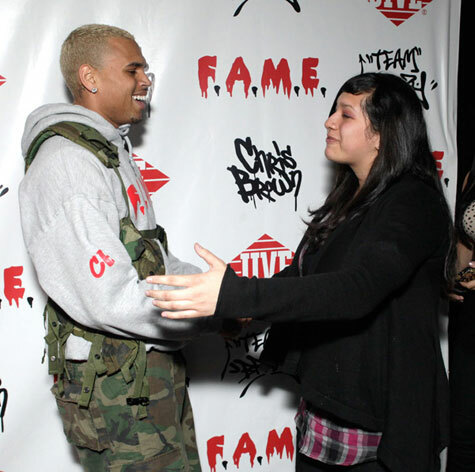 The blond singer posed for photos and signed autographs for Team Breezy members at the private event, the first of several planned around the world. 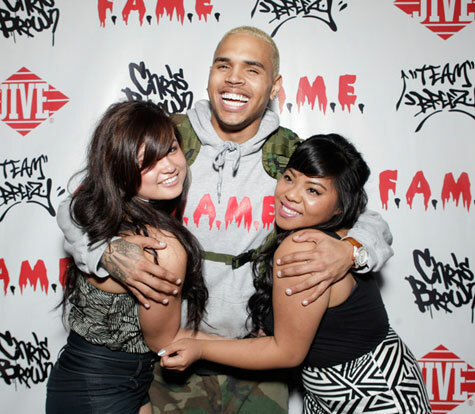 Team Breezy consists of a worldwide gathering of fans whose mission is to get his music heard by more people using viral resources. After each team leader completes grassroots missions on his behalf, their team is rewarded with a listening party in their city. Breezy has recorded an exclusive song entitled “All About You,” which will be featured on the digital deluxe edition of F.A.M.E. A video for the song has also been shot in the backyard of his Virginia home. 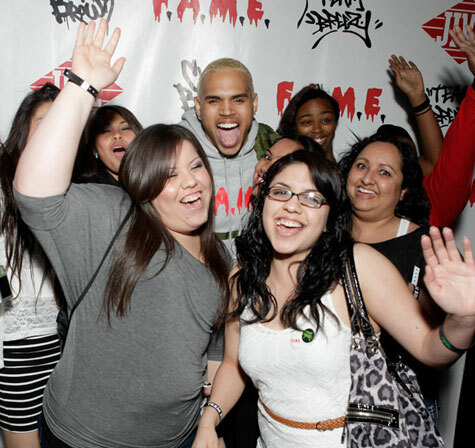 Furthermore, Team Breezy is credited as executive producer on his fourth album, arriving March 22. More listenings will be held this week in Atlanta, Washington, D.C., and New York City.